With the Easter Bunny hopping along the egg trail, let’s welcome him with bunny selfies! This photo prop is put together in two shakes of a lamb’s tail and will be the delight of your family get-together this spring. 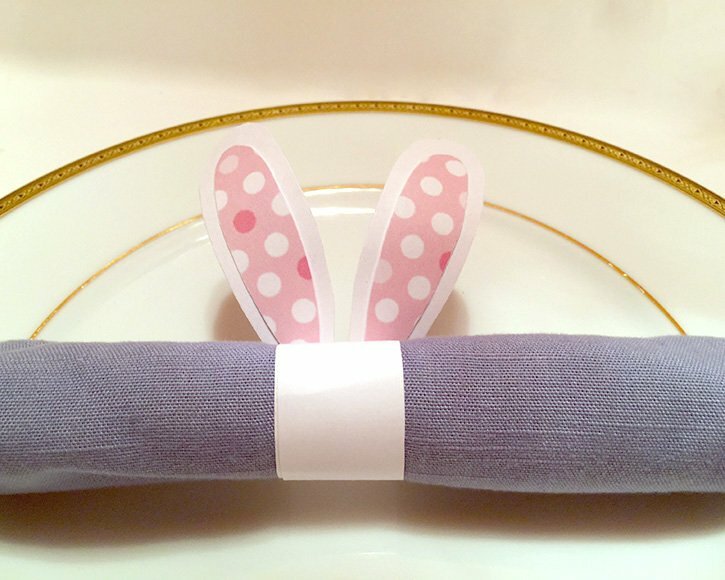 Cut a simple set of rabbit "buck teeth" out of white card stock. 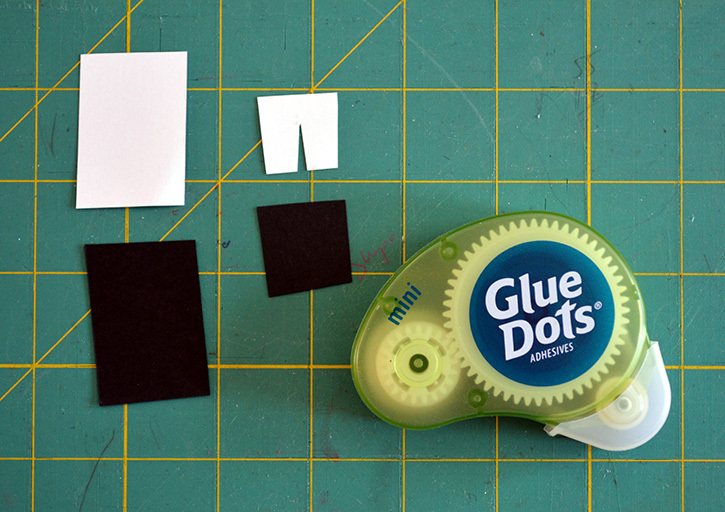 Using Mini Dots, Layer the teeth onto some black cardstock to add definition. 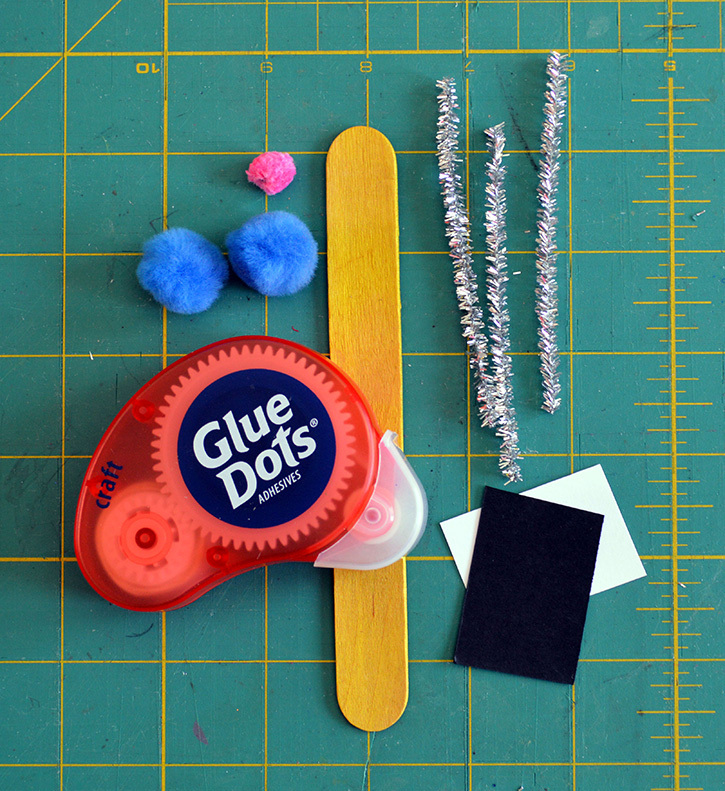 On the back side of the craft stick, lay 2 Pop-Up Dots. 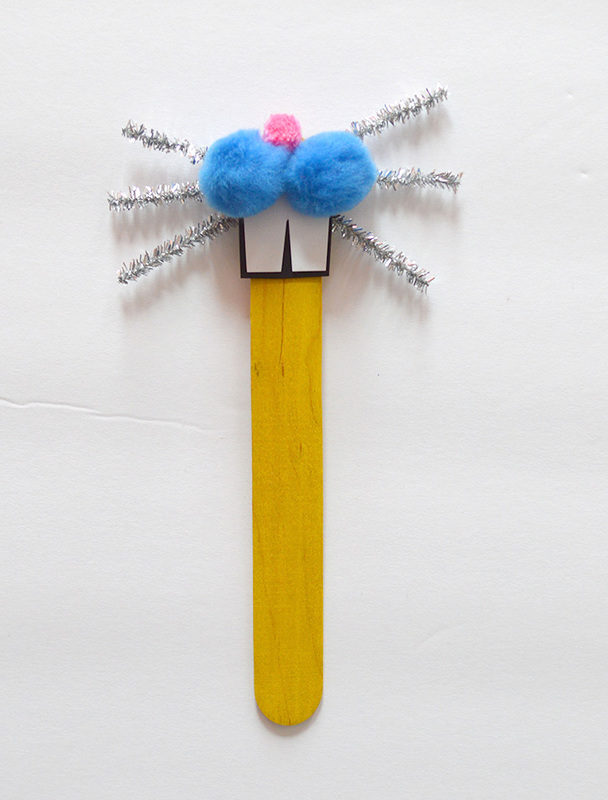 Lay your three 4” sections of pipe cleaner across the dot, making sure to center them so your "whiskers" are even. 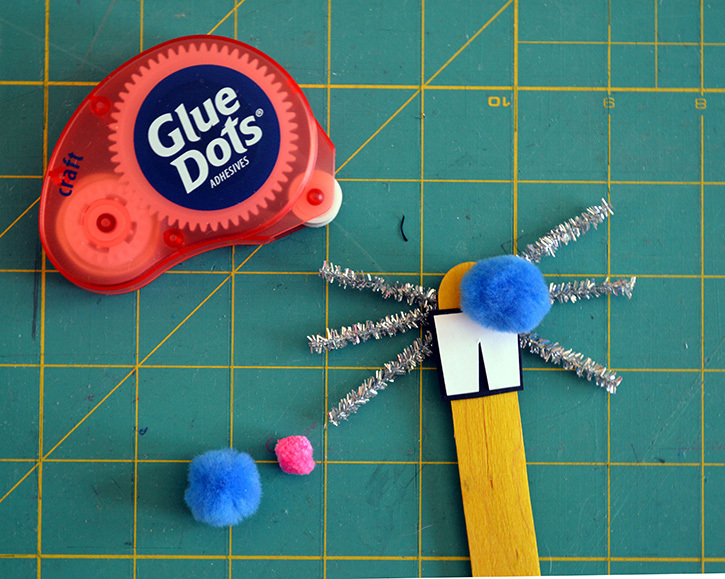 Press the pipe cleaner firmly into the dot. 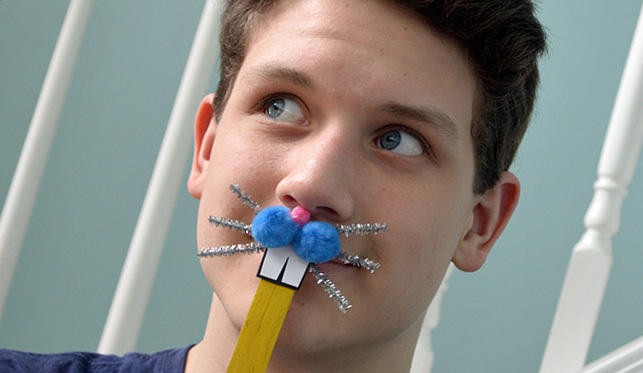 Then, bend the wire to form whiskers. 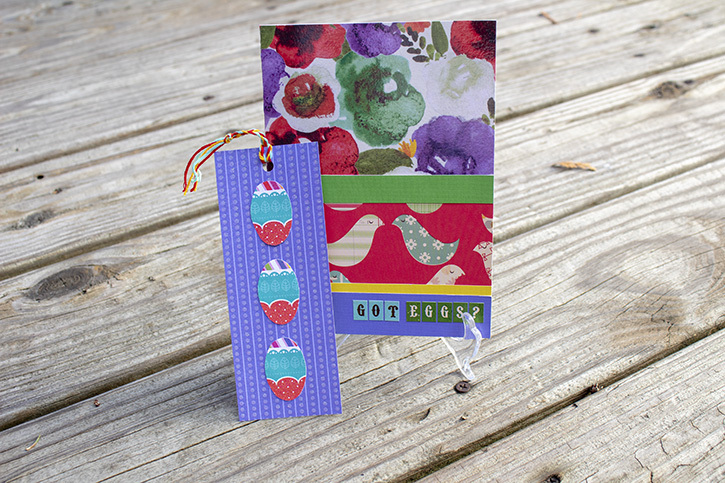 Use Craft Dots to apply the card stock teeth to the appropriate spot on the front side of your craft stick. Add two medium pompoms to form a snout. 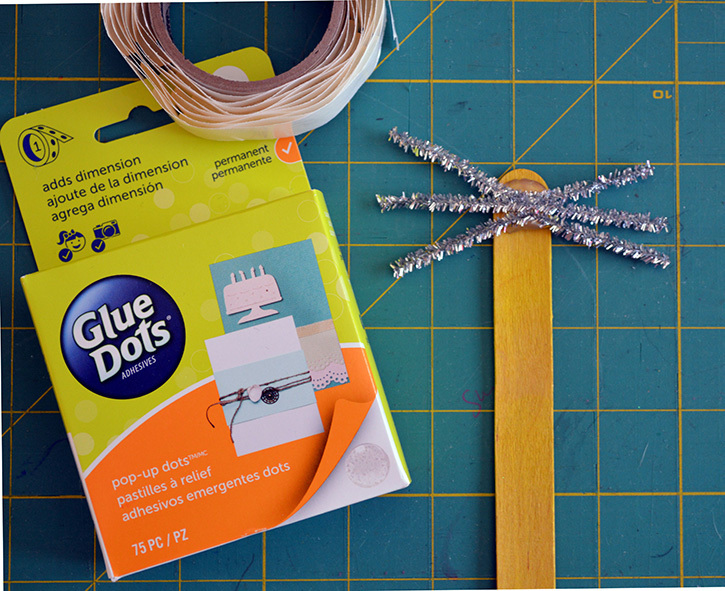 Lastly, add a small pompom so it is adhered to the very top of the craft stick (I placed mine dead center between the two larger ones). 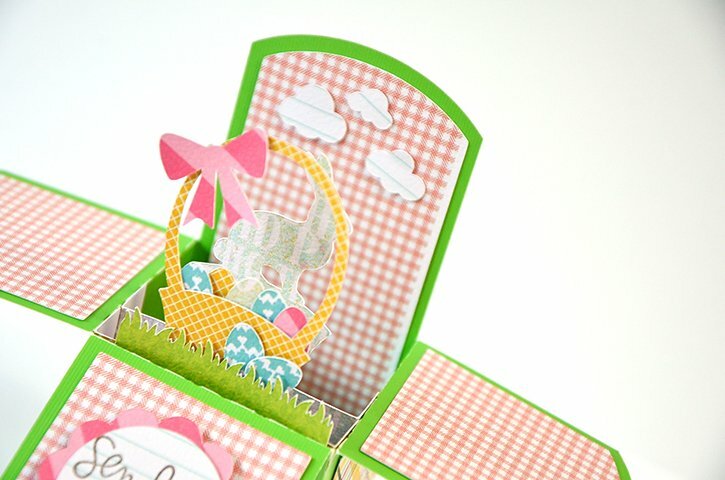 Smile…say "cheese"…and get those rabbit whiskers twitching and itching for this spring’s Easter egg hunt!